Showbie's subtle ways of letting you know where there is new (unseen) work for you to check out. 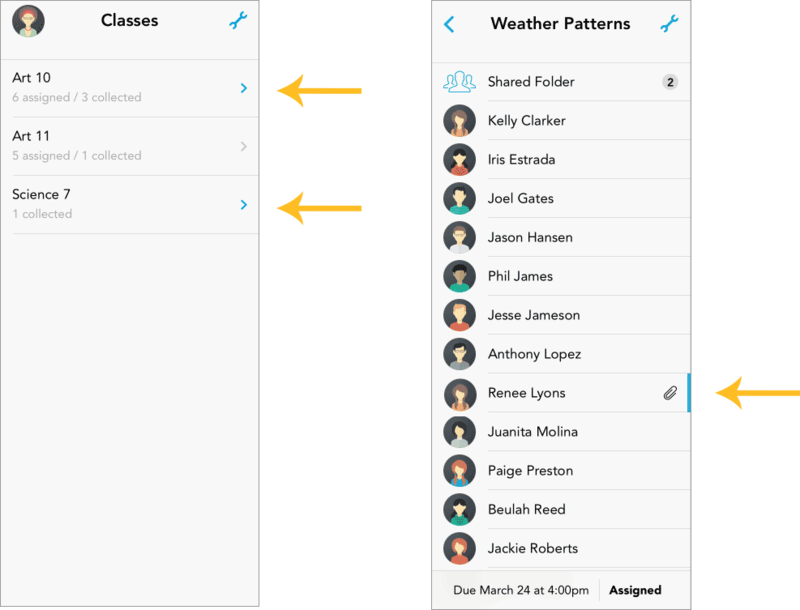 Showbie uses some quick visual ways for seeing which folders have been updated by a teacher or a student. Notice the arrows next to each class and assignment; when they’re highlighted in blue it means something has been updated in that folder. We like to say that “blue means new”. You’ll see a blue arrow for your classes and assignments. A blue bar will appear instead next to the student name when you’re in the assignment. Various icons will also appear next to the student name if there’s something new is added. Check out this guide to learn more about those icons! Students will also see the same blue arrows and bars in their account.